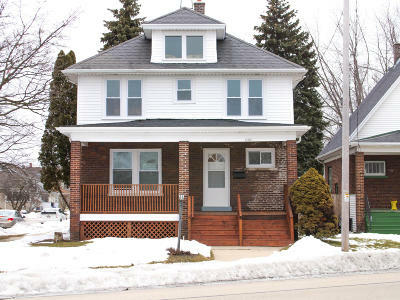 Renovated two story character home with 4 large bedrooms and 1.5 bathrooms located in desirable Roosevelt Park area. New windows. Huge front veranda and fenced back yard leading to 2.5 garage off side street. Partially finished basement with potential for a third bathroom. Plenty of storage. Original picture esque stair case through front entry.